A mortifying end to Audi engineering guru's distinguished career? The scandal surrounding Volkswagen’s fraudulent diesels threatens to end the career of one of Germany’s auto engineering titans -- Audi product development boss Ulrich Hackenberg. A key player in VW Group product strategy for more than a quarter century, the 65-year-old German has been suspended because of scrutiny surrounding his potential role in the affair. VW’s admission that it rigged diesel emissions tests has led to the resignation of Hackenberg’s close friend, former VW Group CEO Martin Winterkorn. The two engineers -- Winterkorn nicknamed his friend “Hacki” -- spoke the same language of math and science and understood each other implicitly. If Hackenberg also leaves, Volkswagen would lose the man behind its revolutionary platform strategy known as modular toolkits, the best known being the MQB. These ultraflexible architectures use scalable modules and common interfaces to give VW a considerable cost advantage across brands and segments. General Motors is only now switching to modularity and won’t be finished copying VW’s strategy for a decade. 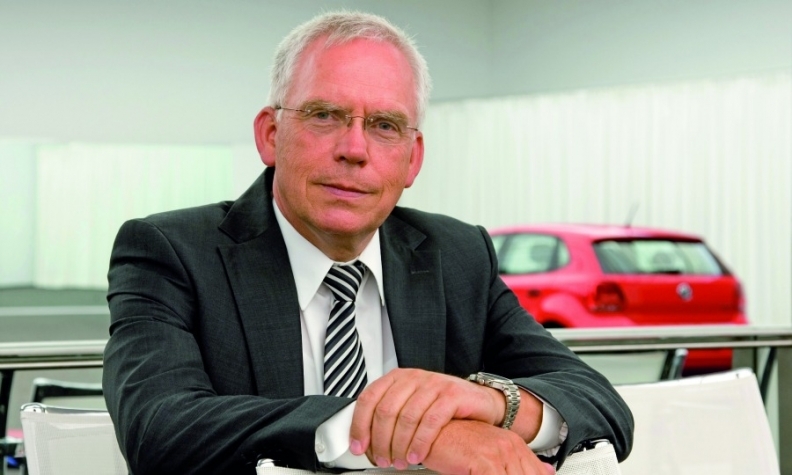 VW brand development chief and group powertrain head Heinz-Jakob Neusser and Porsche chief engineer Wolfgang Hatz, who previously was group powertrain head, also have been suspended, according to media reports. Hackenberg, born in Herne in the heart of western Germany’s former steel and coal mining region around Dortmund, developed a keen interest in technology from an early age. But his love of music nearly prompted him to choose a different profession during his days attending boarding schools on scholarship. “I actually wanted to become a sound engineer,” he told a German newspaper in June. Instead he ended up studying mechanical engineering at one of the country’s foremost technical universities, the RWTH in Aachen, where he authored his 1984 dissertation on motorcycle technology. He remains a passionate rider known to have long favored Austrian off-road specialist KTM before switching recently to Audi’s Ducati. After receiving his doctorate in 1985, Hackenberg joined Audi, where in 1989 he was put in charge of “concept definition” and later took over technical project management of the entire product range, helping bring the iconic TT to the market in 1998. After a stint at VW AG, Hackenberg returned to Audi in 2002 to head r&d. While there, he developed the first modular toolkit, dubbed MLB, to cut development and production costs across Audi’s upper-end vehicles, which shared longitudinally mounted engines. When Audi chief Winterkorn took over Volkswagen in early 2007, some of his most trusted aides and executives went with him to Wolfsburg, including designer Walter de Silva and Hackenberg. Once in Wolfsburg, Hackenberg got to work on developing VW’s biggest toolkit, MQB for transversely mounted engines -- VW says it will underpin nearly 6 million vehicles next year -- and developed VW’s ultrafuel-efficient XL1. Trouble started to brew in his absence, however. Worried that Audi was losing its reputation for technical innovation, Winterkorn dispatched Hackenberg to Ingolstadt in July 2013 to troubleshoot. One of Hackenberg’s first priorities upon returning was resuscitating the dormant R8 e-tron program, which had been shelved due to high battery costs and insufficient range. Hackenberg more than doubled the range of the electric supercar to about 250 miles by swapping out the battery type, using next-generation cells and boosting the efficiency of other key elements. The trouble didn’t stop there, though. Under de Silva, design had become one of Audi’s strong suits with models such as the TT and A5 that bore his signature single grille. But under Wolfgang Egger, critics said Audis began to look like copies of each other with the design becoming one-dimensional and monotonous. Hackenberg brought in VW designer Marc Lichte, whom he tasked with developing a new design language, now seen on the Audi Prologue concept. Hackenberg’s latest project has been spearheading the group’s piloted driving technology with examples such as a driverless Audi RS7 concept that whizzed around Germany’s Hockenheimring racetrack. “He’s very good at engaging people. He can improvise, find a quick solution and yet at the same time he can think strategically, looking into the long term. And of course he’s a petrolhead,” the analyst said. Now it looks possible that Hackenberg may pay the price because engineers below him were too afraid to tell him the unvarnished truth about the group’s dirty diesels.